When the output is a feature class in a file geodatabase or a personal geodatabase, the values in the Shape_Length field are always in the units of the output coordinate system specified by the Spatial Reference parameter; and they are the planar lengths of the polylines. To measure a geodesic length or distance, use the ArcGIS Pro Measure tool; make sure to choose the Geodesic, Loxodrome, or Great Elliptic option accordingly before taking a measurement. The units for the values in major_field and minor_field. 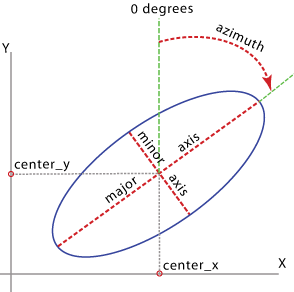 The units of the values in the azimuth_field.